If there's a gadget more elusive than the Google Nexus 4 itself (which is currently in stock, by the way), that would be the wireless charging dock for it. We've all heard about the accessory, seen photos of it online, yet there's still no online store or retailer to buy one from. 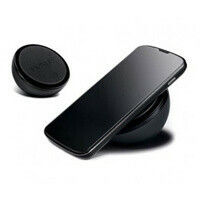 However, the Google Nexus 4 wireless charging orb is already listed in at least several web sites' databases, albeit labeled as "not in stock". Having a model name WCP400 attached to it, the accessory is priced at $60. 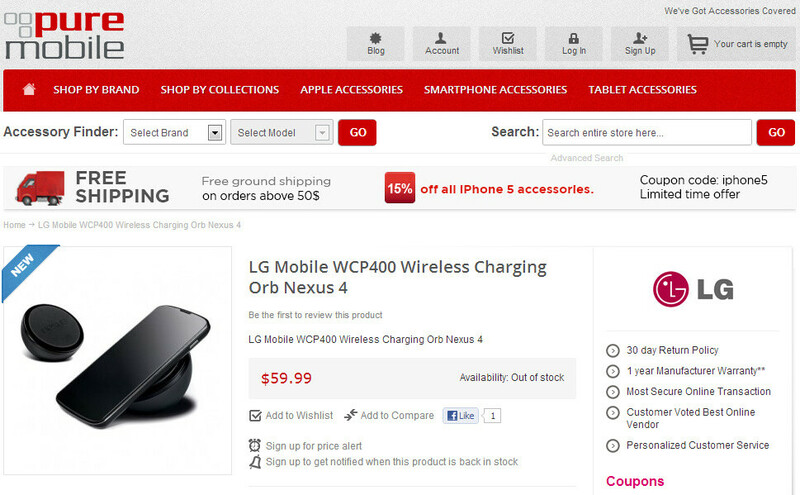 This lines up nicely with the rumors, suggesting that the wireless charging dock may go on sale in February. 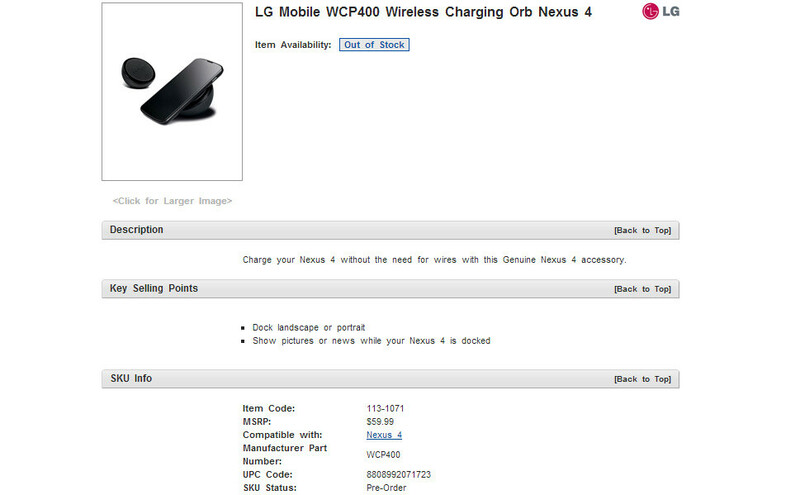 Unfortunately, neither of the online stores provides any information about availability of the Google Nexus 4 charging orb. We sure hope these aren't just placeholders and that the accessory is indeed on its way to retailers. Who's thinking of getting one when it's out? yup. i think i'll wait out a discount, hopefully a large one. still might not be interested in this. useless crap ... never a fan of these accessories. Anyone else love how they always advertise it with no visible wires? lol. Marketing at it's best. As much as I'd love to get this, not sure I want to plop down that much money for it. Btw, the Lumia 920 has wireless Qi charging, and there's tons of charging plates available and in stock. Most of those will probably work for the Nexus 4 too, but in that case just buy yourself the 920, because it's a better device in most cases anyway! I'll buy it for my HTC DNA.